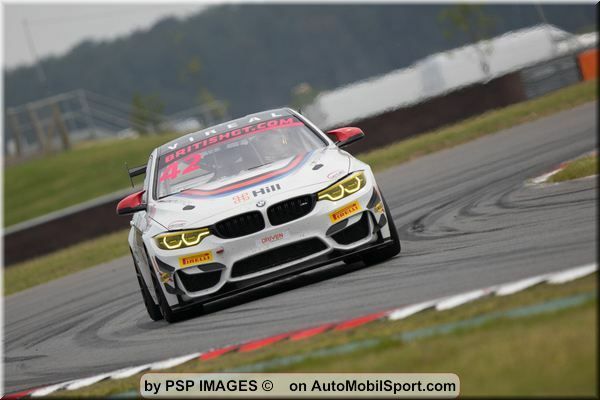 Century Motorsport headed to Norfolk's 2.99-mile track, Snetterton, feeling confident after all four drivers shown very good pace and improvement at the last round at Rockingham, despite it being the first ever time that Aleksander Schjerpen had driven the BMW. Little did the team know that they would achieve so much at Snetterton, including: a pole position, a second position start, a fastest lap of the race and most excitingly, their first victory of British GT Championship 2018 (along with making history too)! Saturday morning at Snetterton, the sky was looking very dull to begin with and after the previous two British GT weekends were taken over by torrential rain, there was a slight uncertainty as to what the weather would bring. Both free-practice sessions went well despite a few safety cars stealing some of the track time! By lunchtime, the sun was shining down on the circuit and the ice creams and sun lotion made an appearance for the first time at a British GT weekend this season. Later on in the afternoon, the first qualifying session got underway. Ben Tuck was out first in car 42 and with an amazing time of 1:58.438s, he claimed pole for the first time in the BMW! Schjerpen was out in car 43 for the first session and he qualified 10th overall (ninth in class). Session 2 of qualifying saw Ben Green qualify in eighth (fifth in class) for car 42 and Jack Mitchell posted a breath-taking time of 1:57.920s in car 43, which made him second fastest. The times in this session were all very close, with only one-second between first and 10th. Not only did the weekend bring dry weather with scorching sunshine, it also brought the team's first ever pole-start position in the BMW M4 GT4. The team went away on Saturday evening feeling very hopeful and confident for Sunday's races (2 x 1hr). Sunday morning, just after 11am, Race 1 got underway. Schjerpen started the race for car 43 from 10th on the grid. Panic struck towards the end of the first lap when contact from a competitor caused a puncture on the front right tyre of the Burlington and Crosswater sponsored car. Schjerpen had to immediately take the car to the pits where the Century team rapidly changed the tyre however this unexpected stop caused a huge drop down the order leaving the number 43 car out of contention. When the car was handed over to Mitchell during lap 12, there was still an enormous amount of catching up to do. The pair completed the race 10th in class, with Mitchell achieving fastest lap in his attempts to reach the rest of the pack. Meanwhile in car 42, after starting in pole position, Tuck comfortably kept the lead throughout his stint and managed to build a 4-second lead in just 7 laps. Much to the team’s dismay, the safety car came out in lap 8 until lap 12. This meant that the gap that Tuck had worked hard to get, had now disappeared and the competition was up close behind him, with the driver-change pit stop due. The number 42 car was likely to fall behind at this point as the silver/silver driver pairings have to sit and wait patiently in the pits for longer than the other Pro/Am classes. There was also congestion in the pits as majority of the field came in for a pit stop while the safety car was still out. By the time Green had left the pits, the number 42 car had dropped several places. Green tried to minimise the deficit, fighting until the end, eventually taking sixth (third in class) at the chequered flag. Both drivers had shown great pace and the next race was looking promising. Race 2 got underway at 15:30. Mitchell started the race from second on the grid in car 43. After the misfortune in race 1, Mitchell had even greater determination and with his front-row grid start position, he stood a good chance of taking the lead. It was a slow start, due to a safety car being out for the first three laps after an incident during the opening lap. With some impressive driving, Mitchell had stormed into the lead by lap 8 and this is where he comfortably remained until lap 15 when he headed for the pits to hand the car over to Schjerpen to complete his stint in the 60-minute race. After a perfect driver change, Schjerpen was set to return as the race leader however his exit from the pit box was obstructed by another team which caused a delay, dropping the number 43 car down the order. Schjerpen couldn’t find a way past the number 77 Mercedes that was in front of him and it was a frustrating lengthy battle until he managed to finally slip past on lap 26. At this point there was only a few laps remaining therefore very little time to move much further up. Schjerpen’s lap times in the final few laps showed just how much the number 77 car was slowing him down, as there was an improvement by up to four seconds. Schjerpen crossed the line in eighth place (sixth in class). Green started from eighth on the grid in the number 42 car. He got off to a good start, gaining three places in the first lap, which was then halted by a safety car period of a few laps. Green then found third place by lap 5. This was a very exciting moment for the team as both Century BMWs were in the top three for the first time. It wasn’t meant to be though as during lap 9, another car caused the number 42 BMW to spin out, causing a loss of several places putting the car in 12th position. Green handled the spin well and continued to battle through the pack, finding two more places. Green dived into the pits for the driver change on lap 13 and Tuck got behind the wheel starting from 11th place with great determination. Tuck hastily charged his way up the order, captivating the crowds and fans and by lap 19 he had found fourth place, with a podium result now in reach. Two laps later, Tuck was in second place and was fighting to find the race leader who was five seconds ahead. Tuck would need to make up one second per lap if he was to get close the lead car. By lap 26, he was almost in line with the number 5 McLaren and during that lap, with only seconds left on the clock, Tuck made his move and stormed ahead, claiming race victory. Not only was it the first win for Century in the 2018 British GT Championship but also it was a victory that made history due to it being the first SRO-GT4 win in Europe in the BMW M4 GT4 by a customer team (i.e. not a factory team). The team look forward to the next round, which is at Silverstone on 9th – 10th June where they hope to collect some more silverware. “We were working hard with the set up at Snetterton. We struggled a little bit in testing but then also we had to factor in that we were on old tyres. We are working on the set up nicely and with the support from BMW as well it’s really helped us. I feel as though we have finally got to grips with car. It was an awesome set up for qualifying and the races. We got a bit unlucky in race 1, we got caught out with the safety car in the pit stops unfortunately and then the Pro-Am drivers jumped us and we had a little bit of a slow pit stop but then race 2 put it all back right again. “It’s been really up and down at Snetterton. We started off really well in practice and quali with everyone in the team setting good times. Our first race we showed really good pace – Ben [Tuck] was leading. Then a slight delay in the pits made us fall behind. “I’m really happy with how my weekend went in terms of performance. It was good to see the BMW GT4 back at the front where it deserves to be. I felt confident all weekend and feel that we have made a big step in the direction regarding set up. “There has been ups and downs at Snetterton. The beginning of the weekend was quite good - we found the pace with the car and both Jack and I were quite good in both practice and qualifying. We were a bit unfortunate in the first race starting in the middle of the bunch. After contact with one of the other cars in the first lap, that led to a puncture so that completely put us behind in that race. Second race was a little better however another car blocked our exit in the pit stop, which lost us some time and made us come behind one of the other slower cars and I struggled to get past it in my stint so we lost a lot of time there. “What a great feeling to score our first win this year in GT4 and to be the first customer racing team to win with the BMW M4 in a European SRO event. The BMW M4 is such a fantastic car, and the support from BMW is of great value to us. We’ve worked really hard on the setup and it came to fruition this weekend with claiming poles, fastest laps and race wins. I’m proud of the team and the drivers for delivering this weekend. 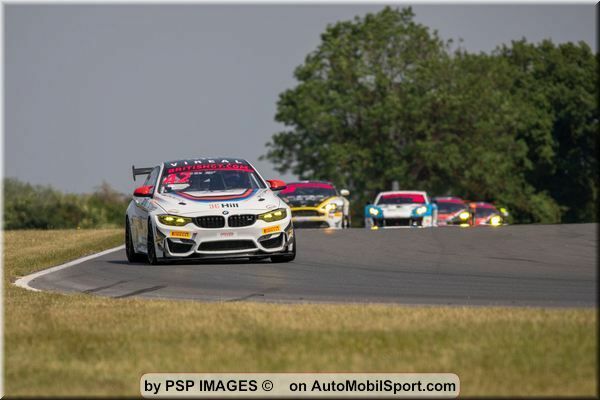 Pirelli World Challenge: BMW M235i Racing dominates at Lime Rock Park. 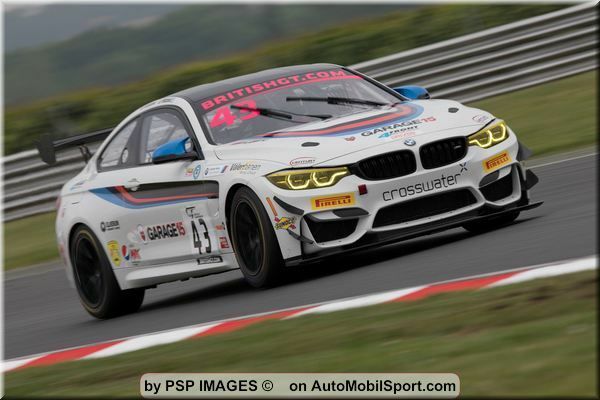 British GT Championship: First win of the season for BMW M4 GT4. Bonaldi Motorsport - In Silverstone to confirm the top!